Some damp weather made its way through the region Monday evening. See photos. WASHINGTON — Much of the heavy rain and few storms expected in the D.C. region for Monday evening have passed. A few showers linger over some parts of southern Maryland. A strong upper level low has moved to the Great Lakes area, pulling a pretty powerful cold front with it to the east. This front passes through the D.C. region late Monday night and into the overnight. By Tuesday morning, skies should be clearing. 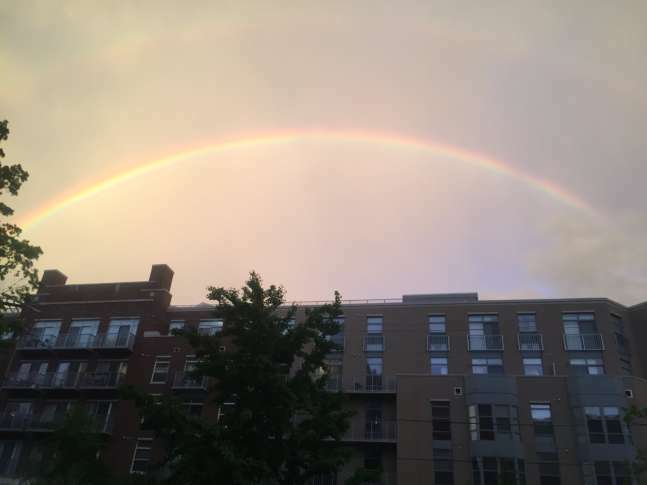 Earlier, the National Weather Service issued a Severe Thunderstorm Watch for most of the D.C. area, but canceled the alert around 8:25 p.m. Rain continues to track to the east at a pretty quick speed. Expect a chance of rain and storms through late Monday night. Considering the sunshine that we experienced Monday and temperatures shooting into the 80s in most spots with added humidity, we have a decent amount of instability in a lot of the region. The Storm Prediction Center has placed some of the region in a “slight risk” area for severe weather, meaning that scattered severe storms are possible. Winchester, Virginia, the Eastern Panhandle of West Virginia and areas along Interstate 81 north through the Pennsylvania area are in an “enhanced risk” for severe weather, meaning that numerous severe storms are possible through the evening. By Tuesday, we will begin drying out as humidity levels drop. Winds will pick up and it will be a comfortable but windy day. More rain is expected on Thursday into Friday so if you don’t get your rain fix tonight, I definitely believe everybody will have equal chances for some heavy rain Thursday into Friday. Visit our weather page for the latest updates, follow us on Twitter @WTOP, and listen to live weather reports every 10 minutes on 103.5 FM or via our online stream.